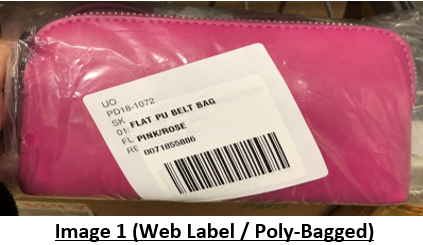 The below guide covers Backpacks, Bags, Belts, Hats, Cosmetics, Eyewear, Watches, Hair accessories, Jewellery, Socks, Tights, Scarves, Nail, and Boxers. The below is a mandatory requirement and must be carried out by the vendor. Any deviations from the below can result in a chargeback. 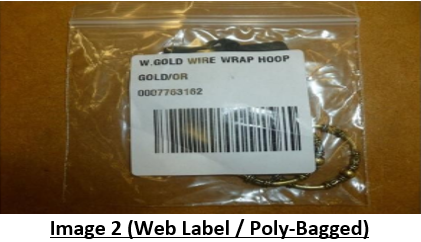 Loop Tags should be used to secure Swing-Tags either to zip or round handle of Bags / Backpacks. 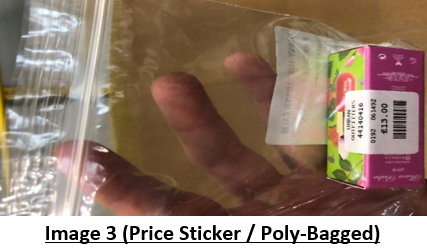 The bag should then be placed into a Poly-Bag and the Web Label placed on the front of the bag. 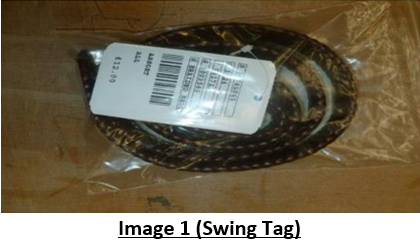 The Swing-Tag is to be secured using loop tags through buckle of the belt. 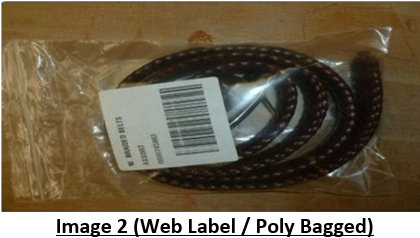 The belt is then to be Poly-Bagged, and the large Web Label is to be placed on the back of the bag. 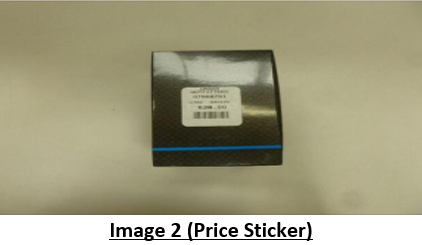 Small Price Sticker to be applied to the product, covering any existing barcodes if necessary. 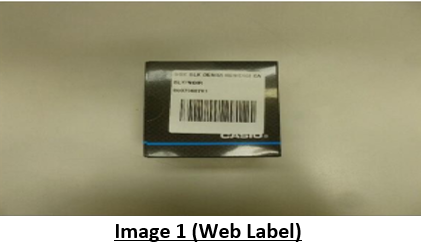 Then the item is to have a large Web Label placed on the reverse of the box. 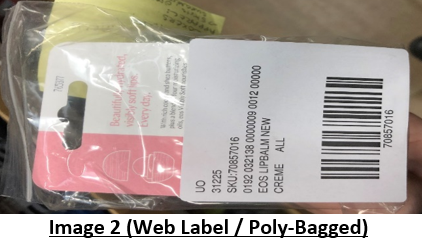 If the watch is not in a box then the watch will need the Price Label attached to the strap and then it should be Poly-Bagged and a large Web Label placed on the bag. Caps to be Swing-Tagged on label inside. 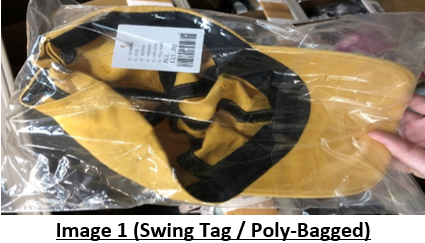 If no label, then Swing-Tag to be attached to inside seam or inside band. 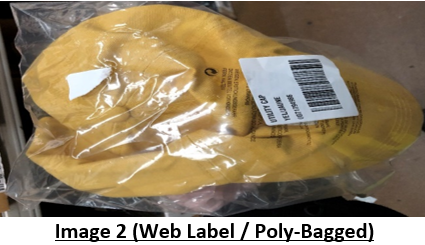 All hats to be Poly-Bagged and SKU labels adhered so label faces upwards. 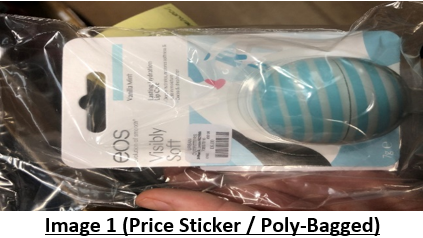 All cosmetics to be labelled on reverse / side or bottom with a small Price Sticker, covering existing bar-code if present on the product. 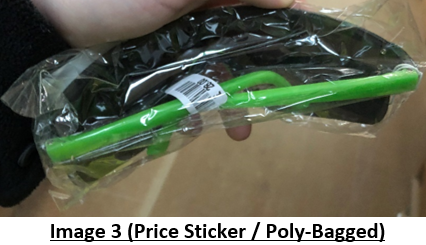 The product is then to be Poly-Bagged and the large Web Label is to be placed on the reverse of the product. Place right earpiece through the slits on Urban Outfitters glasses card. Square price label to be adhered to back of card securing the arm. 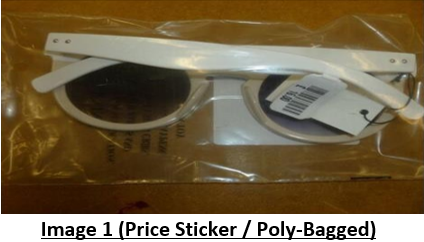 Item to then be Poly-Bagged and SKU label adhered to facing side so that SKU label is facing upwards. 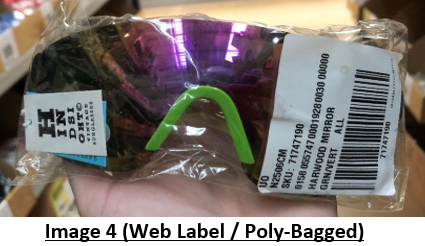 If Urban Outfitters glasses cards are not being used, a ‘dumbbell’ price label is to be fastened round the right ear piece then Poly-Bagged and SKU labelled. 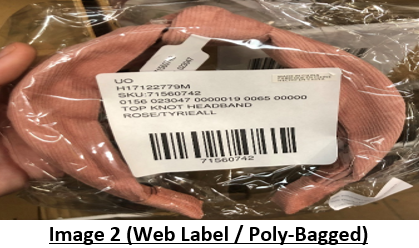 All Hair accessories are to be labelled using a small Price Label, item must then be Poly-Bagged, and large Web Label applied to the back of the bag. 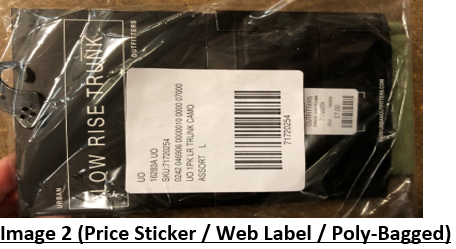 If items are mounted on display cards, then the small Price Label is to be adhered to reverse of card, Poly-Bagged and then the large Web Label placed on the bag. 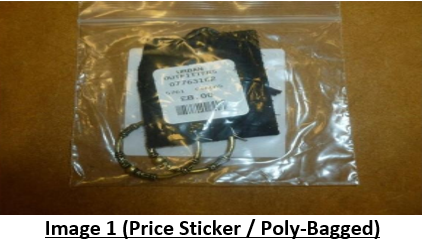 All jewellery to be labelled on reverse of display card. If items are not mounted on cards, then appropriate labels (i.e. dumb-bell) to be used. 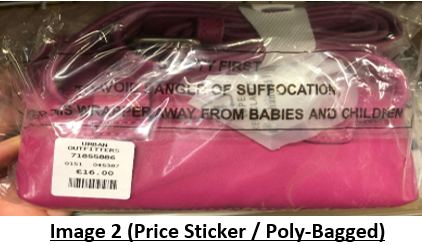 Items must then be Poly-Bagged, and SKU labels adhered to opposite side to any other bar-codes. 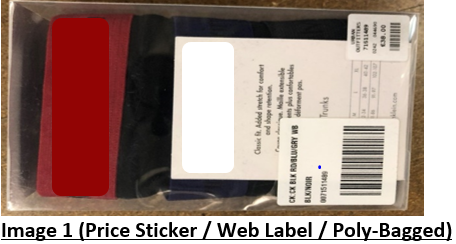 All boxers / male under garments that are boxed are to be labelled on reverse / side or bottom with a small Price Label, covering existing bar-code if present. 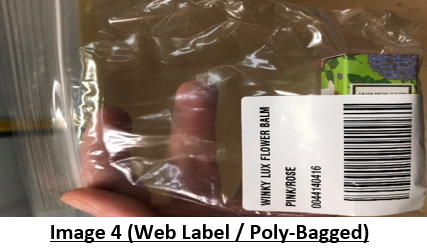 The large Web Label is then to be placed next to this on the same side. 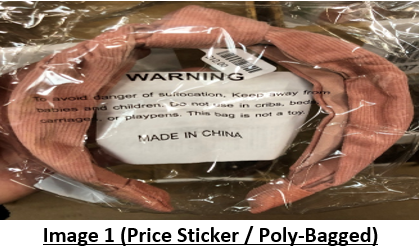 All boxers / male under garments that are packaged with a sleeve are to have the small Price Label placed on the reverse of the product. 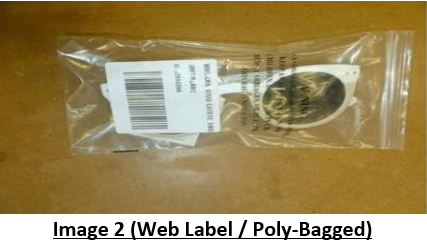 Then the product is to be Poly-Bagged and the large Web Label is to be placed on the reverse of the product.